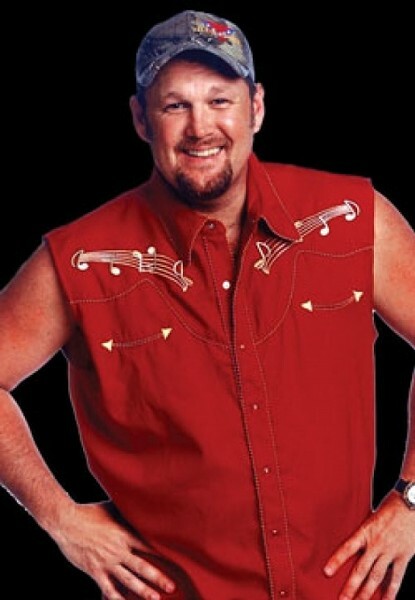 Larry the Cable Guy is not who he appears to be. There’s not much middle ground in how people perceive Larry the Cable Guy. Those who hate him think he’s a stereotypical Southern comic, riding high on the popularity of the Blue Collar Comedy Tour, spewing out adolescent one-liners and shouting “Git ’er done!” to drunken, toothless, country bumpkins who think that George W. Bush is saving the world and professional wrestling is real. Those who love him think he’s the iconic Southerner: They love his drawl, his dress, his stories and his catch phrase. What neither side really understands is that he’s not real. When he’s not performing in character, Dan Whitney—the comedian and former radio DJ from Nebraska who created the Larry character—has a slight Southern twang but, other than that, there’s no sign of Larry. Until he laughs. The laugh is unmistakably Larry. Whitney had been performing stand-up comedy and hadn’t really found his niche with audiences until he dressed up in sleeveless flannel shirts, spoke with an accent and told jokes about tornadoes in trailer parks, fat sisters and flea markets. “I worked comedy clubs with my act for 13 years before I was popular enough to perform in a concert hall,” he recalls. His first concert hall gig was the Grand Ole Opry, and he killed. After that, he joined the Blue Collar Comedy tour with Jeff Foxworthy, Bill Engvall and Ron White and hasn’t gone back to comedy clubs since. Whitney certainly doesn’t need to worry about critics affecting his draw as a comedian. For four years straight, he has been the top-grossing touring comedian in America, earning between $200,000 and $350,000 per night. These are not merely performances in the South but all over the United States. His audiences in extremely liberal areas are just as big as in conservative ones. His act, he proudly admits, is a complete fantasy—but one he works hard at. “Comedy is a business,” he says. “I shut myself in a room, and I write two to three hours a day. I work out seven to eight solid one-liners per week. I tell jokes, not stories.